Delhi has been one of the most fascinating places in India for me. Being bitten by the travel bug, I have been to Delhi for about five times previously but never really thought that “The City of Hearts” will become my home for the next three years. The fast pacing city has so much to offer to everyone. I hail from Calcutta, so to some extent there are certain similarities between the two cities be it their rich heritage or the fact that both ‘Calcutta’and Delhi have been the capital of India during the British Raj, there are several places where Delhi resembles the ‘City Of Joy’. The most striking similarity is that Delhi is a confluence of culture too. 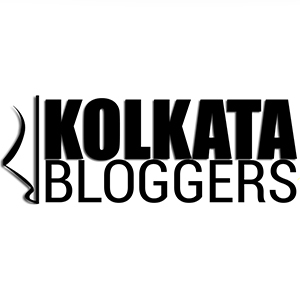 ( Read about Kolkata-Confluence of Cultures). This is my fifth month in Delhi. This new life has been full of ups and downs but this has been interesting. ( might do a blog post shortly). In between a conversation with Professor Kalyan Chatterjee he said, “ If you want to explore Delhi then you have to first visit places that have already been explored”. I have thought of visiting places, the known areas or rather the famous areas in Delhi. This post is about the Tibetan Refugee Colony in Delhi, preferably known as “Majnu Ka Tilla”. This place is very famous among the tourists and youngsters visit this place with their friends. I had an altogether different plan. I was about to visit some churches when Angkuran, my dorm-mate suddenly came up with Majnu ka Tilla’s name. I have read about this place in Arghyadeep’s blog earlier. Angkuran Dey hails from Guwahati, Assam studying in Amity University, Noida and interning at Sportskeeda as a content writer. He is a poet, blogger and writer. Check his work here. Majnu ka Tilla is a Tibetan Colony in Delhi established around 1950. It is officially called New Aruna Nagar Colony, Chungtown, Samyeling. This place has a small monastery and a Buddhist Temple. The most fascinating thing was the unplanned alleys and housing. The narrow alleys leading into innumerous number of by lanes abound in this part of the city. I have never lived in a planned city so unplanned and unconventional roads always catch my eye. This area has many restaurants serving Tibetan delicacies and various accessories shops. The best part is they do not charge GST( which has been a big factor of late ). I have always loved Tibetan delicacies and this time we had lunch in one of the oldest restaurants there named Ama Restaurant. While photographing, I met a kid named Denzing who was busy shooting with his new handmade paper gun. He was returning from his school. He posed for me too. In my opinion the accessories found here are a bit costly but the ambience and warmth of the people sums it up together. I loved this so much that I went this place on the following day also. Majnu ka Tilla has some kind of happiness and peace to offer. To get to Majnu Ka Tilla one can take a metro to Vidhan Sabha which is on the Yellow Line. From Vidhan Sabha one can board an auto-rickshaw/rickshaw to Majnu Ka Tilla. Follow me on Instagram for more photographs. Like my Facebook Page for more updates.